365 Guide New York City: Drink. Eat. $ave. Every Day of the Year. A Guide to New York City Restaurants and Bars. 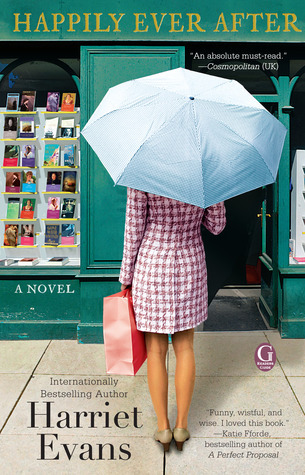 I received this book from Hugo House Publishers Ltd in exchange for a review, and here it is! Monica DiNatale is no doubt an expert on dining out in NYC. This guide will make life for first-time NYC travelers a hell lot easier. Swishing through the pages, you’ll find the name of the bar/restaurant, its location, opening hours, contact details as well as why it has been a selected feature. All selections are numbered #1 – #365, lettered from A-Z, so theres literally a year’s worth of dining options to try. There’s no lack of variety, because most of the featured are bar/restaurant fusion where you can stay on after supper for chilling out with your buddies. I would love to try #133 George Keeley Fine Ales and Lagers, an Irish Pub on Amsterdam Avenue in the Upper West Side. Free popcorn for all! Plus burgers with sweet potato fries. It’s a New York dream come true. Smorgas Chef (#273) also sounds like an interesting deal. Swedish meatballs on Hanover Square? It’s Scandinavian date-night-tastic with the upscale bistro ambience. All in all DiNatale does know how to have fun, and her picks are truly perfect for a complete NYC night-out. I know restaurants and bars in New York City can be expensive and intimidating. I wanted 365 Guide to include advice that I would give to close family and friends but share it with the world! Inside 365 Guide there are 365 restaurant and bar deals in the Big Apple. 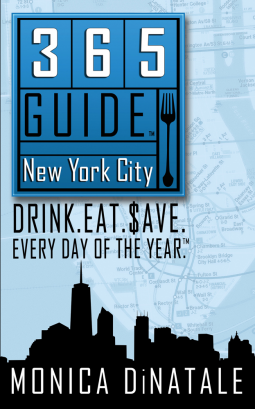 This is the only New York City guide book that tells you where you can find: free, yes, FREE food specials throughout the city, $2-$3 drinks any day of the week, the best happy hours where you can nosh to your stomach’s content and more deals than any other guide on the planet! From five-star restaurants to the best dive bars, I will be your savings guru. Whether you live here, hope to live here, or are visiting, if you want to know all about New York City’s restaurants and bars-at a discount-then 365 Guide is the book for you!